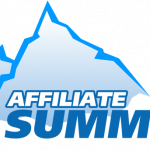 All of UBD will be heading up to Las Vegas this weekend for Affiliate Summit West. This will be our first time to vegas where we are not exhibiting, which is kind of a relief given the hassle and stress of setting up and managing a booth. Yep, this goal of this trip will be exclusively to network, hang out, and party with our dot com mogul friends. I am especially excited to sit down with a certain dot com mogul to talk about possibly starting a new venture that will take over. I can’t say anymore now, but you will definitely be hearing about it in the next few months. I am going to take a lot of pictures and video as I just got a new Flip Mino HD which takes outstanding video. I plan on doing mini interviews with the likes of ShoeMoney, Shawn Collins (founder of Affiliate Summit), Jim Kukral, and hopefully even Gary Vaynerchuk. If you are gonna be in Vegas this weekend, make sure to hit me up! There is no limit to the size of our group, so feel free to tag along if you want to meet some cool people! Yep, it’s gonna be fun times! I will definitely keep you updated! We look forward to the pictures, the videos and all the fun time news; albeit with a slight feeling of envy 🙂 …..
Can’t wait to see them. Heard the HD has H.246 video compression. Can’t wait to see how that turns out on the phone. Nate, will you share your impressions with us, your readers? Affiliate Summit in Las Vegas should be very interesting. Have a nice time there! I think it’s really great times for fun n you’re wait for this type of event. Affiliate Summit West 2009 is taking place January 11-13, 2009 at the Rio All-Suite Hotel & Casino in Las Vegas,it Come Florida and Big Storms then to Vegas, After the convention was beat and headed back to the telly to relax. programs, it is possible to create your own affiliate success story. Gary will also be the keynote speaker for Affiliate Summit 2009 in Las Vegas. I really enjoyed this event in 3march in las vegas.